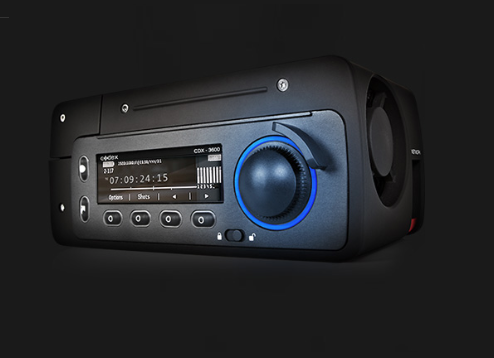 With all the reliability you expect from a Codex recorder, only in a smaller package, the Codex Onboard S Plus Recorder can record ARRIRAW, Canon Cinema RAW, uncompressed HD or wavelet encoded HD material – plus audio and metadata – onto a removable, solid-state Capture Drive. It is weather-resistant and weighs only 2.4lbs/1.1kgs. With a Codex Media Station or Vault, shots can be delivered from the Codex Capture Drive in multiple industry-standard formats. More product details here. Workflow for various cameras like Arri Alexa, Red, Canon, Sony are explained here.